These healthy aging tips will help you eat well, move well and be well. Packed full of healthy aging tips! Is 60 the new 40? Plenty of people are proving that it is! They tell me that they feel better and more energized than they have in years because they’re paying attention to their health habits. Unfortunately, there’s so much noise and misinformation about food, nutrition and physical activity that good advice is often drowned out by bad. There’s a new book to the rescue, and it’s coauthored by my friend and colleague Christine Rosenbloom, PhD, RDN, FAND. The book is aptly named Food & Fitness After 50. Chris coauthored this guide to healthy aging with Dr. Bob Murray, an expert in exercise science. They cover a lot of topics and healthy aging tips! Chris answered a few of my questions and offered some expert advice. Q: What are some things older adults should consider when planning meals? A: Older adults need more protein to maintain muscle mass. I recommend aiming for 25 – 30 grams of protein at each meal. This can be hard at first because it’s really common for people to eat just a little protein at breakfast – say about 15 grams – and then quite a lot at dinner. But they benefit so much by spreading their protein out over the day. Q: Can you share some examples? A: Sure. Here’s what someone might have for each of their three meals. Q: What else should they consider when planning their meals? A: In the book, Bob and I emphasize choosing quality foods throughout the day. Each meal should be balanced with wholesome foods containing carbohydrates, protein and fats. Here are some examples. Q: Let’s talk about physical activity. With so many types of exercise, how can older adults decide what is right for them? A: We aim for functional fitness. Functional fitness allows us to do the things we want to do, and it’s an essential component of aging well. For me, at age 66, functional fitness means that I can lift my own suitcase into the overhead bin on my many travel adventures, and I can lift a 50-pound bag of dog food into my cart! We encourage older adults to get a balance of endurance or aerobic exercise at least 3 days a week (brisk walking, biking, swimming, gardening, or team sports like tennis, pickleball, or basketball). We also recommend weight training twice weekly, and an additional couple of sessions of activities that promote balance, agility, and flexibility. It’s this combination of exercise that leads to functional fitness. A: Lastly, focus on 3 S’s: sleep, stress management, and social connection. All three are important at every age, but more so as we get older. Normal age changes make sleep more fragmented, so be sure to sleep in a cool, dark room. Keep the TV out of the bedroom and stop looking at your cell phone or tablet an hour before you go to sleep. Find ways to cope with stress; you can’t avoid stress, but you can learn to deal with it. Social connections can also keep us healthy, whether it be family, friends, volunteering, or religious affiliations. Staying connected can keep us healthy as we age, and can also be stress-busters. 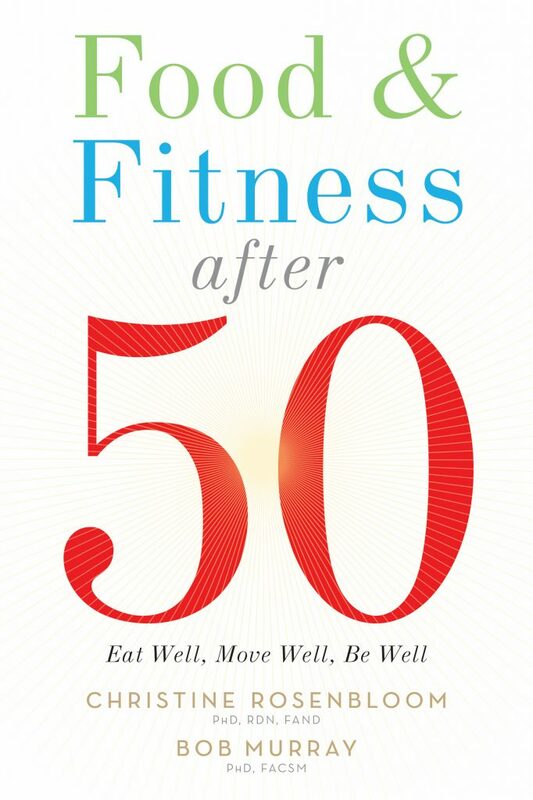 For more healthy aging tips on eating well, moving well, and being well after 50, check out Food & Fitness After 50, published by the Academy of Nutrition and Dietetics and sold by booksellers, like Amazon. 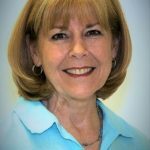 Chris Rosenbloom is a registered dietitian nutrition and a nutrition professor emerita at Georgia State University in Atlanta. Visit her website. Omega-3 Fats for the Heart and More! Choosing a personal trainer for exercising is a good idea if you want do exercise in a proper way. It also reduces injuries because the personal trainer gives you the best advice regarding exercises according to your needs. I agree. Getting expert help is beneficial in a variety of ways. You’ll get expertise, accountability and more. Agree, just make sure you choose a trainer with a credential from a reputable source, like ACE or ACSM. I am really scared of getting old. But as I grew older, I find myself in a big realization. We will all get there. But what matters most is the journey. Choose to be healthy and fit for a longer life and enjoy life to the fullest! When I feel “old” I tell myself to stop complaining because not everyone gets the privilege to get old! Great breakfast, lunch, and dinner menu! These are definitely anti-aging tips! Thanks! Thanks for stopping by. And I agree, Chris gave some great examples! Thanks for this lovely article Jill! !